살바도르(Salvador)의 유서 깊은 시내 중심부에 위치한 매력적인 Villa Bahia Hotel은 2개의 식민지풍 전통 건물에 자리하고 있으며 펠로리노(Pelourinho)의 아름다운 전망이 보이는 테라스를 자랑합니다. 이 부티크 호텔은 수영장, 레스토랑 및 녹음이 우거진 안뜰은 물론 현대적인 편의시설이 완비된 고급 객실을 갖추고 있습니다. Vila Bahia는 탁아 서비스, 관광 정보, 공항 셔틀과 24시간 무료 무선 인터넷 서비스도 제공하고 있습니다. 호텔은 유명 교회, 상점, 바, 레스토랑, 미술 갤러리, 은행, 환전소 및 카포에이라(브라질의 무술춤), 삼바와 타악기를 배우실 수 있는 학교에서 도보로 가까운 거리에 있습니다. 조르지 아마두(브라질 소설가) 박물관(Jorge Amado Museum), 엘레바도르 라세르다(Elevador Lacerda) 및 세 광장(Praca da Sé)도 도보로 쉽게 가실 수 있는 거리에 있습니다. Good helpful staff. Colonial building. Good rooms tastefully decorated. Knowledgeable receptionist. Mainly independent travellers. Very pleasant. 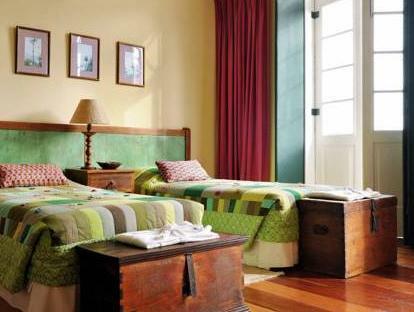 It's a enormous experience stay in a historical building, well kept and decorated, in the historic city centre of Salvador. 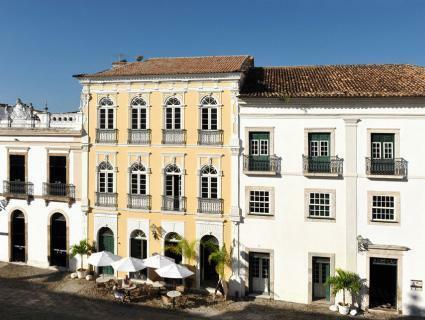 Stay in this hotel was part of the travel pleasure of being in Salvador da Bahia. Villa Bahia is an attractive poussada in the historical center of Salvador.Every room is dedicated to a former portugal colony. As i visited Salvador before Christmas,the square, where the hotel is located, was busy with cultural activity. So it was a bit noisy there until midnight. The breakfast offered was excellent, and the dinner i had there few times, was also tasty. The personell is kind, but except the reception desk, the rest doesn´t speak even basic English. I just stayed 1 night for budget, however, I got the all night of Salvador in the hotel...... beautiful building with a pretty terrace, nice breakfast and restaurant, kind service...... Plus, it is the best location to enjoy safe and fun night culture(dancing, sining and so on) I strongly recommended here to you!